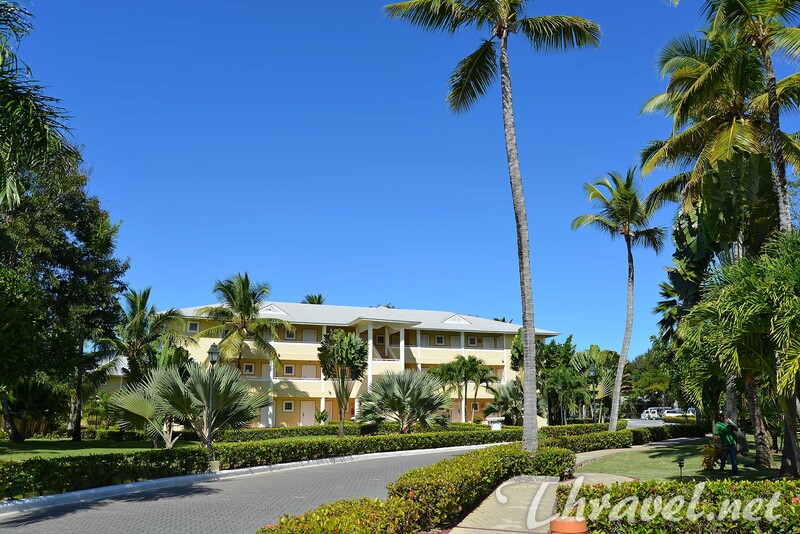 An all-inclusive hotel nestled in lush tropical vegetation, coconut palms and fine-sand beachеs has been always associated with a perfect winter vacation. The Grand Bahia Principe resort in El Portillo embodies the idea of tropical paradise. 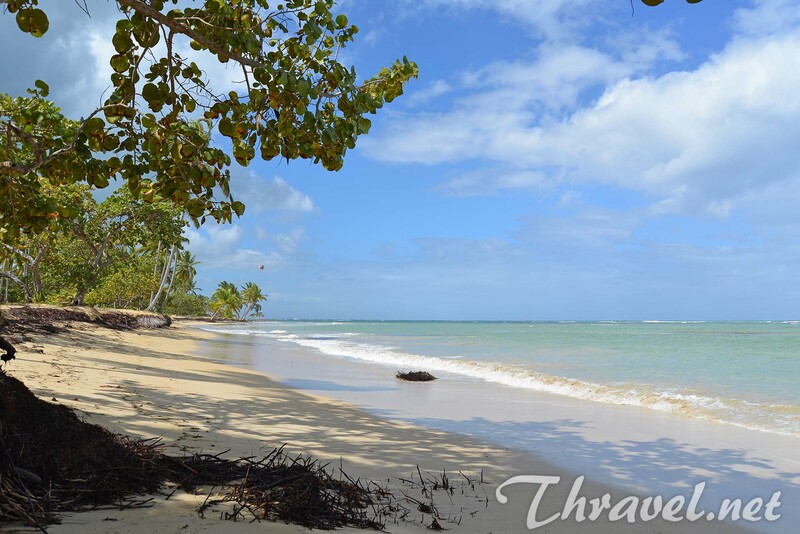 The largest all-inclusive accommodation in Las Terrenas area is surrounded by peaceful nature. The hotel has been popular for tourists from Canada, Chile and Europe. 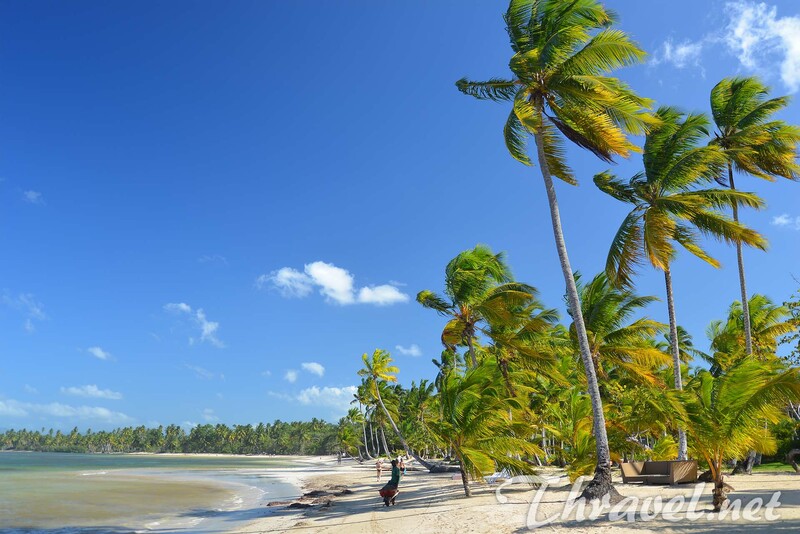 It has something for every taste – relaxing moments on the beach, coral reef snorkeling, dancing to the rhythms of merengue, and kite-surfing. We stayed at this hotel in January 2015 and had a really amazing vacation. 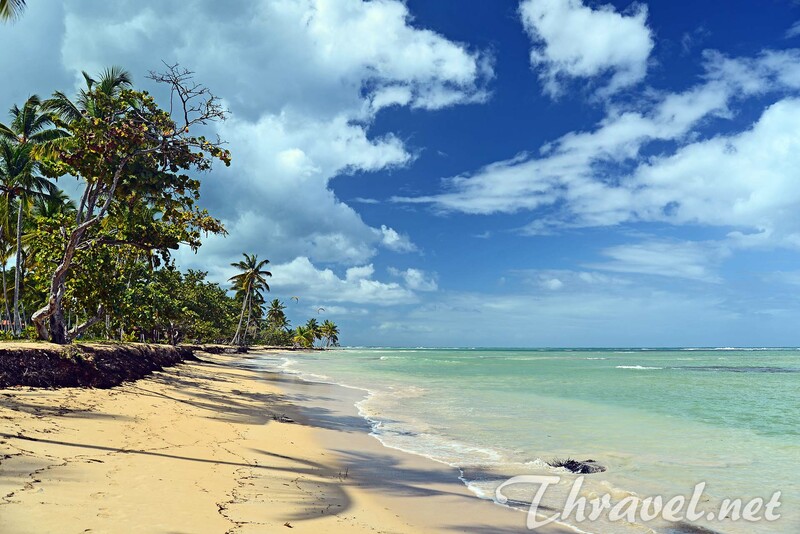 The most convenient way to get from Santo Domingo international airport to El Portollo is the private transfer. We booked private standard minibus at checkpickup.com. The price was $90/80 euros per person. We were a group of 4 persons so the taxi transfer would be at the same price but we were not sure if we can rely on local services. Once we collected our luggage, a staff member was waiting for us at the arrivals hall with a sign with my name on it. The service was excellent. We changed the date of arrival three times because of the cancellation of our flight. Each time the company modified the voucher. The trip from Santo Domingo Las Américas International Airport to Hotel Grand Bahia Principe El Portillo All Inclusive lasted 2,5 hours. On our way back, it was longer because the driver choose a more picturesque route to show us the mountainous part of Los Haitises national park. He stopped the bus at two view points for some panoramic pictures. In mid-January 2015 we booked a double room with 2 queen beds and a single room. Unfortunately, we came 2 days later because of the flight cancellation due to bad weather in New York. At the arrival the receptionist offered us 2 upgraded rooms – a junior suite for me, my husband and our daughter, and a double room for my friend. 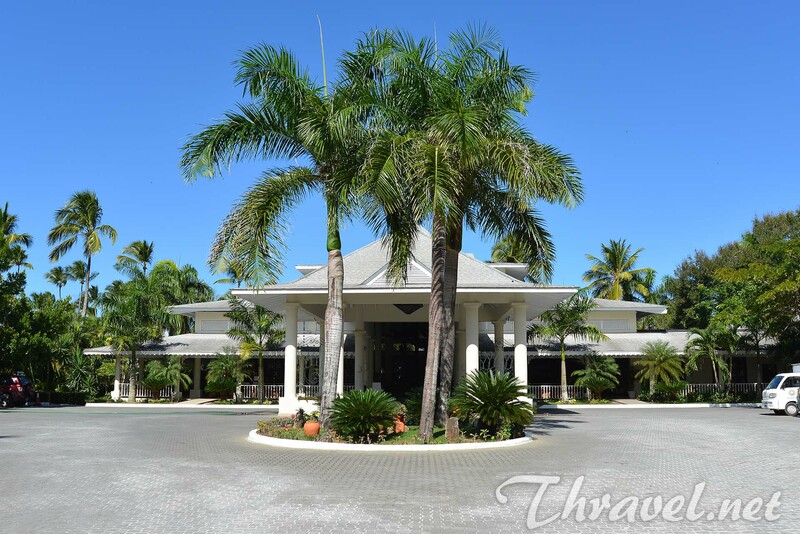 Both rooms were close to the reception, main restaurant and the largest swimming pool. Grand Bahia Principe features elegant luxury rooms. They are located in several buildings all surrounded by lush greenery. The park bursts with color. This accommodation is in harmony with the tropical nature. Rooms are comfortable and clean. The only downside is that they are not soundproofed. The main restaurant in this all inclusive resort – Las Dalias, was so charming that we did not want to explore all the a la carte options in the hotel. We enjoyed the Creole cuisine as well as themed dining nights with Oriental, Mexican, Spanish and Italian specialties. This restaurant has an indoor and romantic outdoor compartment. From 10 pm to 6 pm, part of it is available for late dinner and snacks. Even at night you can have a drink here. Cuisine and service are outstanding – delicious dishes, fresh ingredients, quality wines, and beautiful food presentation. There is something for everyone – salmon, mahi-mahi and tuna; shrimps and octopus; pasta; meat and chicken, huge variety of salads, fruit and desserts. We had a reservation at the Italian restaurant Portofino. The main reason to choose it was the menu for desserts. The antipasti portions were really small. Main courses were delicious but not exceptional. We do not regret having dinner there but food experience at Las Dalias restaurant was better. We also tried the seafood cuisine in El Pescador restaurant. The service was good; the menu was delicious but we would not go there again. 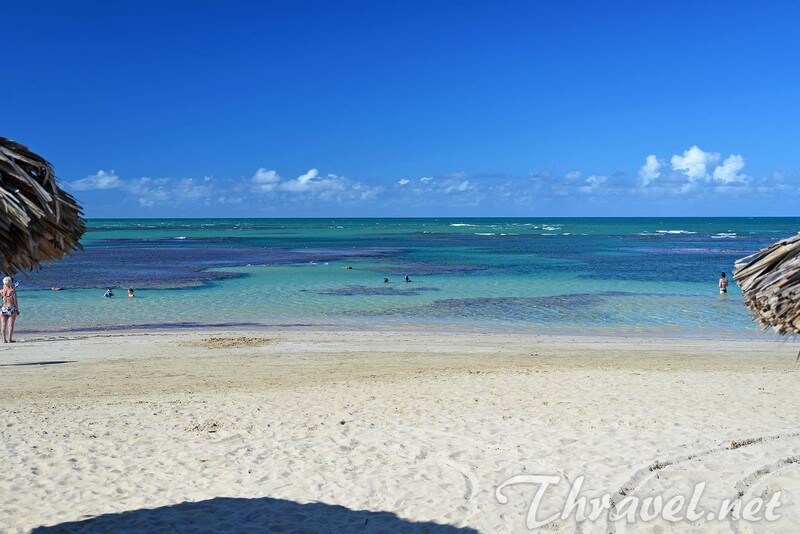 There are 2 swimming pools in the hotel but we preferred to stay on the beach enjoying the ultra-soft sand and scenery. The beach was usually crowded and it was not easy to find sunbeds. 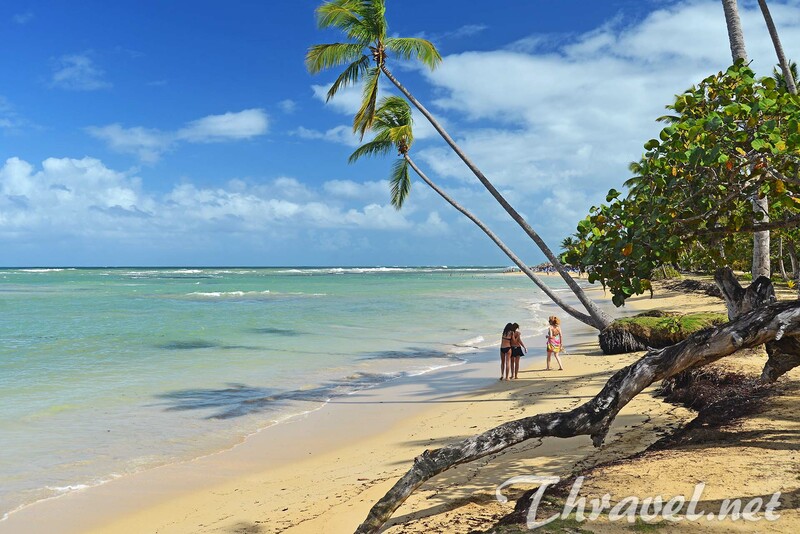 Anyway, I would not tell that this is the best Caribbean beach I have ever seen. Compared to Punta Cana and La Romana, the color of the ocean here appears to be more green and unclear. Local people told us that there are 3-4 small rivers in the area that deteriorate the color of the water in rainy days. When it is sunny, tourists enjoy a spectacular ocean view. The sea can be rough and dangerous for people who do no swim well. But the endless palm trees that adorn the coast are breath taking. 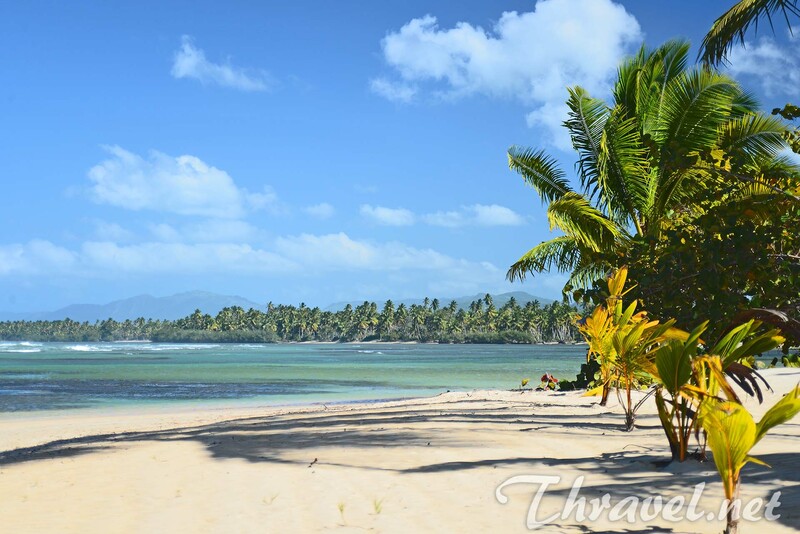 Samana is the one of the least developed areas in the Dominican Republic. It was fun to explore this wild area. When we turned to the right and walked for 2 miles, we reached small mangrove trees forests in the ocean. Walking from the hotel on the left side, we reached the LT kite surfing school where dozens of adventurous people were taking kite surfing lessons. In January 2015 tourists in Hotel Grand Bahia Principe El Portillo All Inclusive were mostly adults. A few of them participated in entertainment activities. Most of the people enjoyed drinking cocktails. 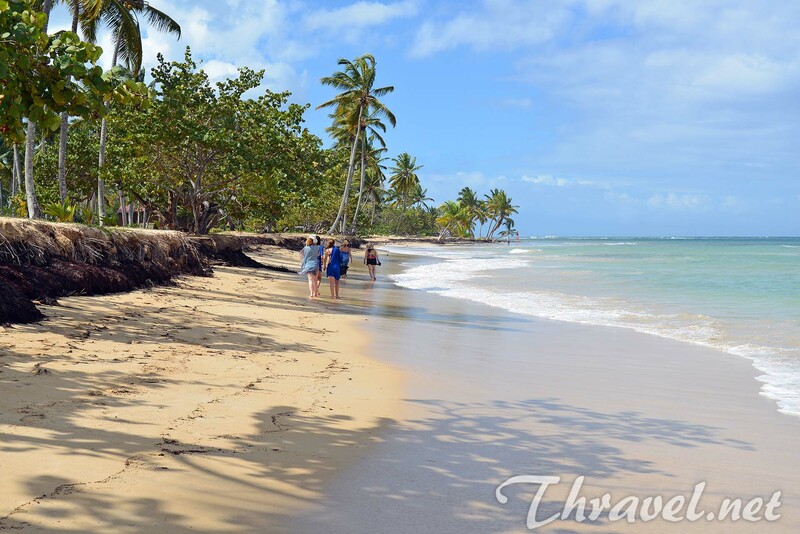 The entertainment program includes stretching at 10 am, followed by Spanish lessons, darts tournament, beach volleyball, beach aerobics, merengue lessons and many more. In the night, there was an entertainment show in the hotel`s theatre or on a special scene under the stars. The disco club is open after 11.30 pm. 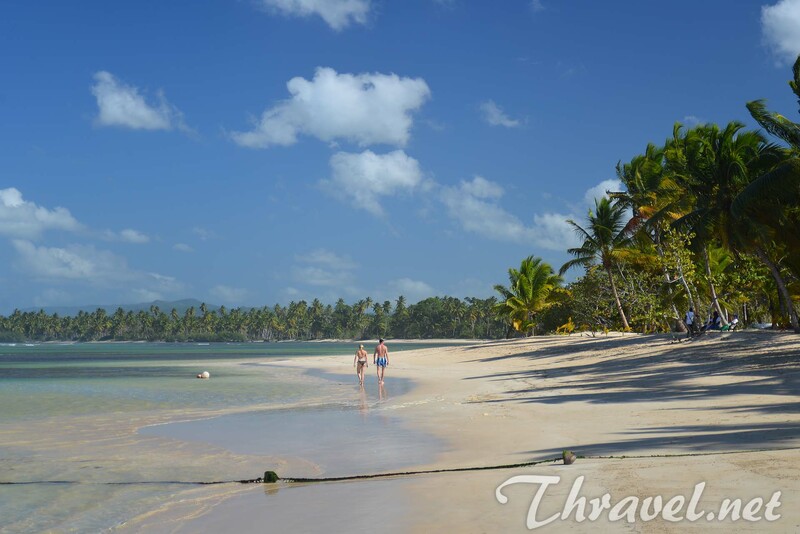 Apart from countless resort highlights, there are some beautiful places in Samana peninsula that are worth visiting. Grand Bahia Principe hotel in El Portillo is the perfect starting point to experience one of the most exciting things in this part of the world – newborn humpback whales with their families. Tourists staying at this accommodation are fortunate to be very close to this must-see attraction. 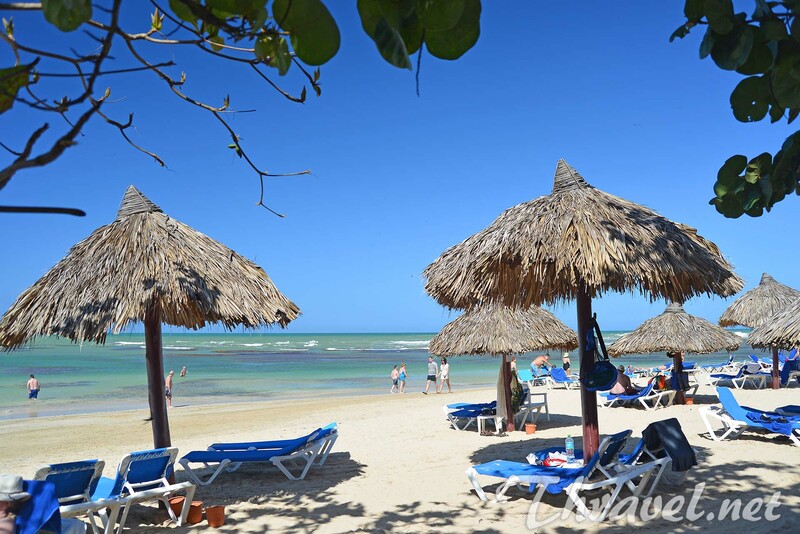 As a comparison, Puerto Plata resorts are 4-5 hour drive to Samana harbor. 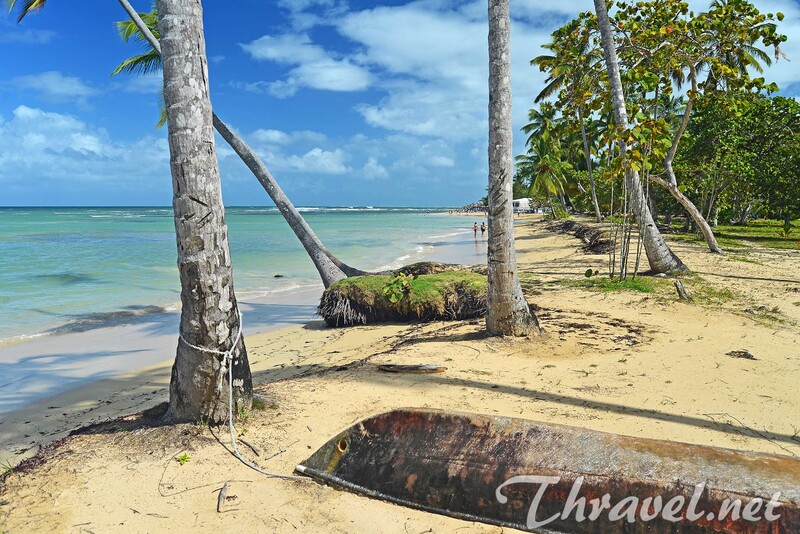 Punta Cana, La Romana and Santo Domingo are also far from the area and if you want to enjoy this natural attraction you have to calculate 6 hours bus ride in both ways. Each year from January to March, 300 humpback whales migrate from the North Atlantic to the warm tropical waters of Samana Bay. In this breeding season, the magnificent ocean creatures come here to mate for the next year`s season or give birth. Humpback whales have been migrating from North America to Bahia Samana for hundreds of years. These ocean creatures were depicted in the ancient cave drawings found in Los Haitises National Park. 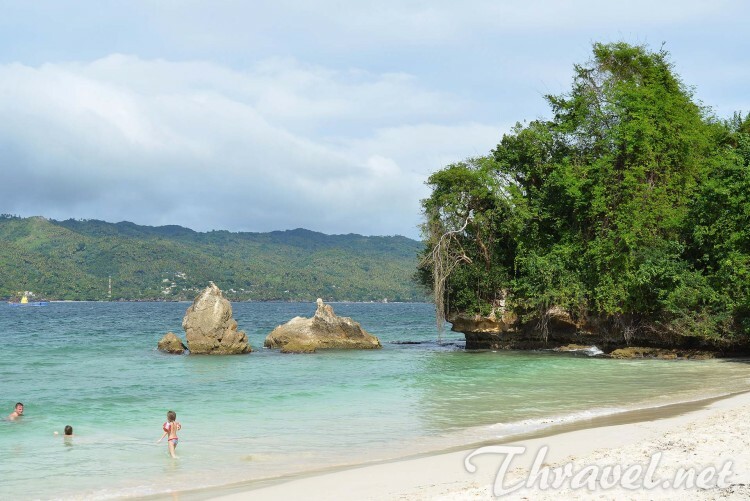 Samana is considered one of the best locations to watch whales. The dry season is not only the best time for a tropical vacation but also the perfect time to go whale-watching. Grand Bahia Principe resort is only a 45 minute drive to the port of Samana where the whale watching tour starts. It is a good idea to choose a bigger vessel since small fishing boats have no protection from rain or waves. From January to March the ocean can be rough. The boat heads to the North shore where the whale`s playground is. The boat trip continues to Cayo Levantado (Bacardi Island) to pick up some more tourists. The journey lasts about 60 minutes. Once you have approached the place, you will be amazed by newborn baby whales swimming alongside their parents, as well as males competing to attract females. Here you can see male humpback whales sky-rocketing and standing tall. By doing this, the giant mammals expose all of their bodies. These amazing creatures jump or swim at 10-15 meters from the boat and be can easily observed. Sometimes, they swim under the vessel. There is a limit of four vessels that can observe the sanctuary at the same time so the whale watching experience can last no more than 30-40 minutes. Whale-watching tour can be booked online or from Grand Bahia Principe hotel. You can make a good deal if book a full-day pack including whale watch and Cayo Levantado (Bacardi) Island visit. We paid $100 per person for this combination. During this exciting tour take with you motion sickness pills, sunblock lotion, sunglasses, and a camera. 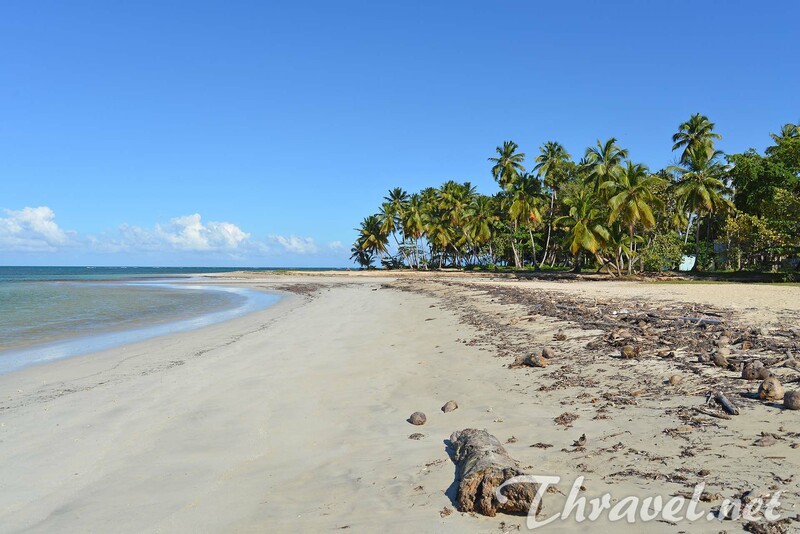 Cayo Levantado is a small tropical islet known for its turquoise waters and white sand. The name Bacardi is inspired by the advertising campaign done for the rum brand. 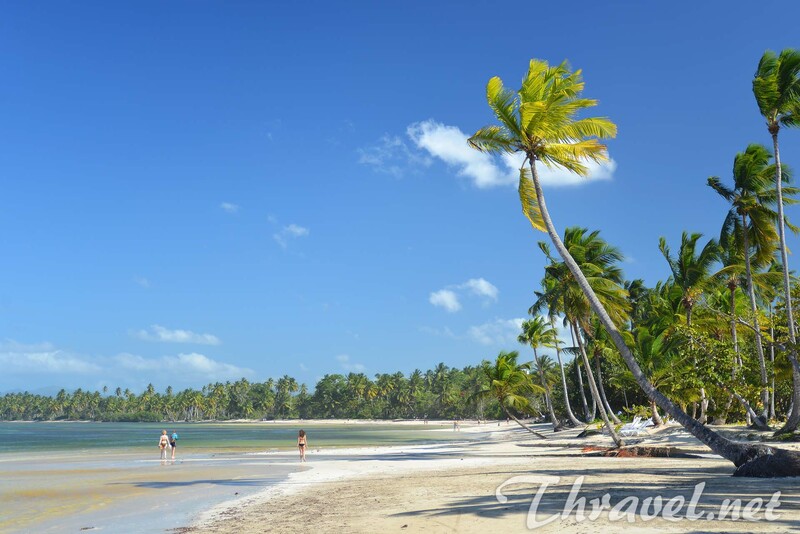 This place is the main attraction in the north part of Dominican Republic – as the Saona Island is in the Southern region. The island is divided into two parts – public and private. 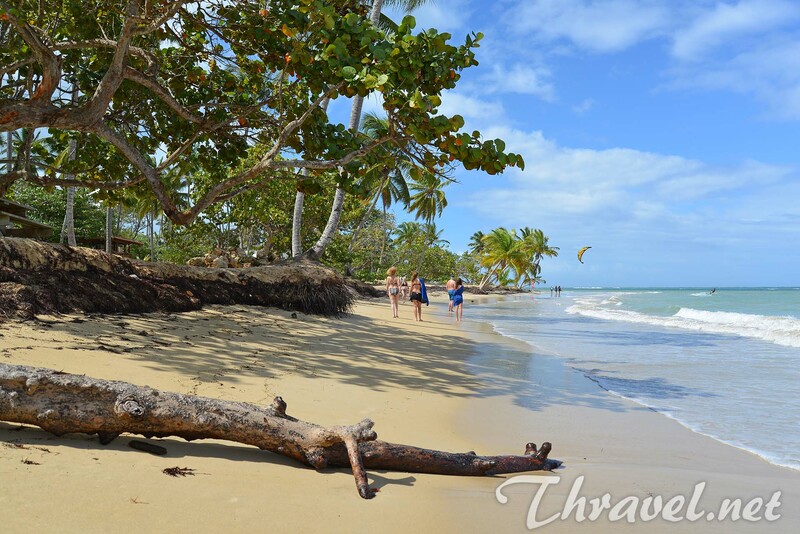 Half of the territory of Cayo Levantado is available only for guests of the 5-star Luxury Bahia Principe hotel. 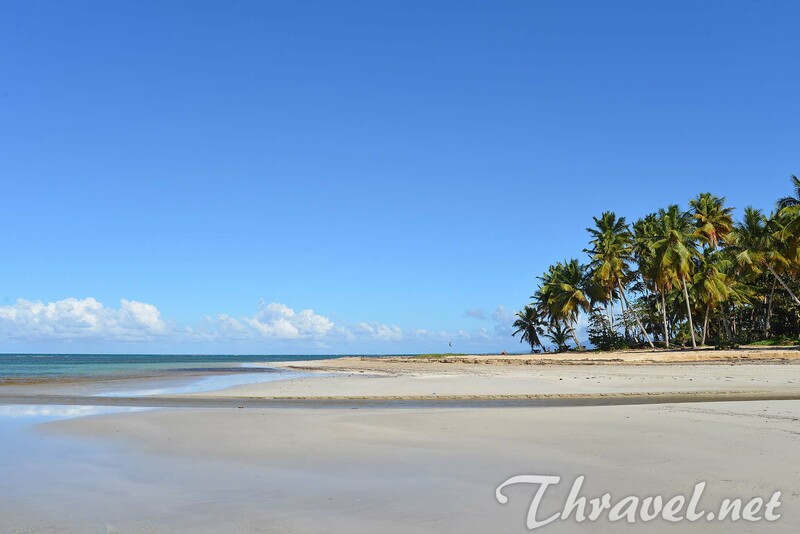 On the public beach you can have lunch including fish, rice, salad, chicken, and tropical fruits. 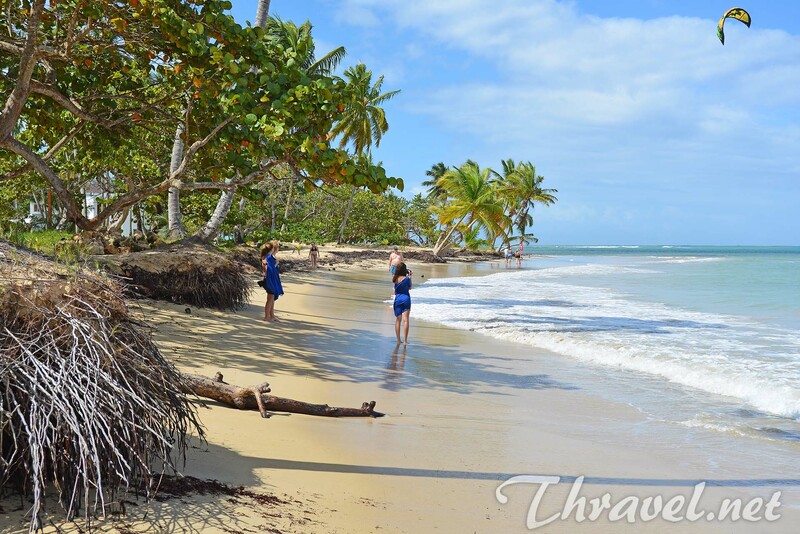 The Cayo Levantado island offers great shopping opportunities. You can buy arts and crafts as well as cocoa, coffee, cigars and rum. The best places for gift shopping are located in Las Terrenas. You can get a taxi from Grand Bahia Principe hotel to the town. The price is $20 in both ways. The driver will wait for you for 2 hours. We personally preferred to buy coconut oil, palm oil and Santo Domingo coffee from the nearest grocery. It is at walking distance from the hotel. There you can pay in Dominican pesos or in USD. There are 2 gift shops, jewelry and a grocery in Grand Bahia Principe resort. 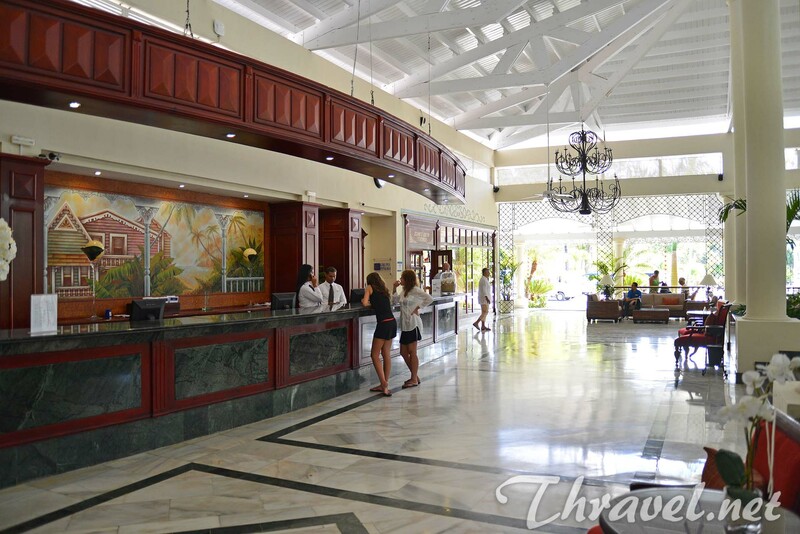 If you do not want to leave the residence, you can buy souvenirs and jewels with Larimar gemstones there. It was our fifth vacation in the Dominican Republic. 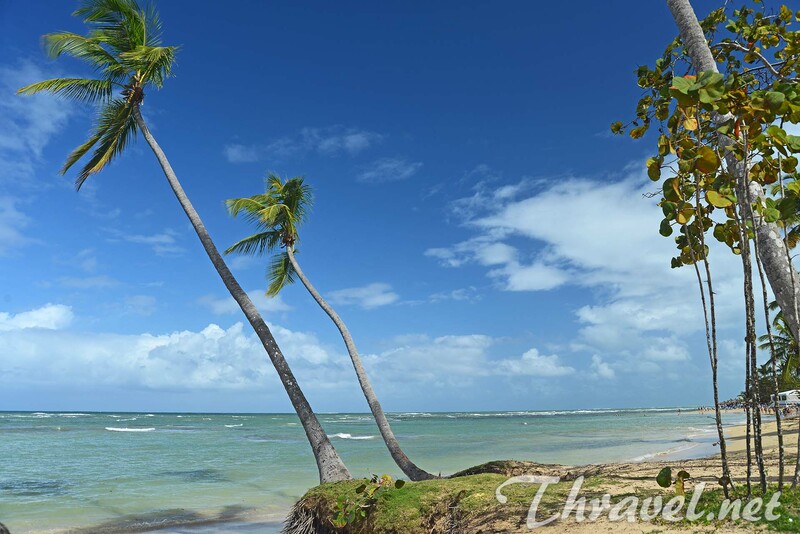 From our experience in Punta Cana hotels and in a La Romana resort, we can say that Hotel Grand Bahia Principe El Portillo All Inclusive Is for people who love nature and a quiet atmosphere. 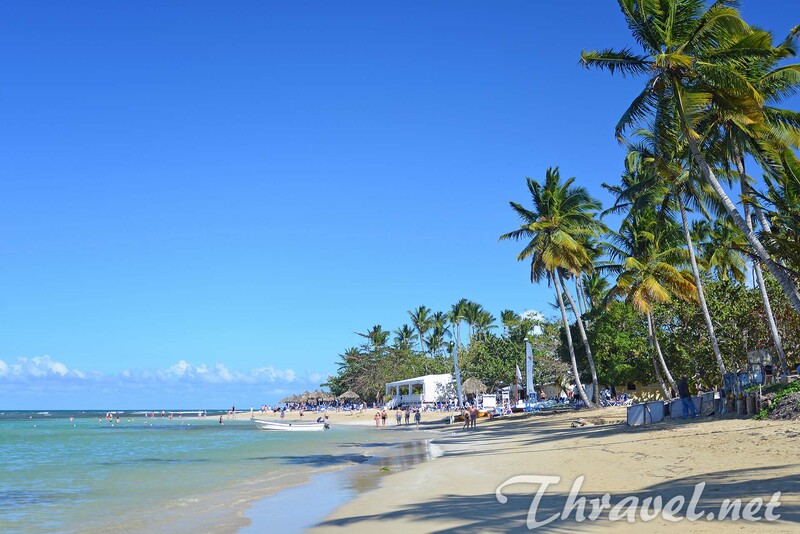 We definitely recommend this resort to tourists who have already explored the more crowded places and spots in the South-Eastern part of the Dominican Republic.